One of the most powerful poetry collections of the twentieth century, now in a beautiful new edition. 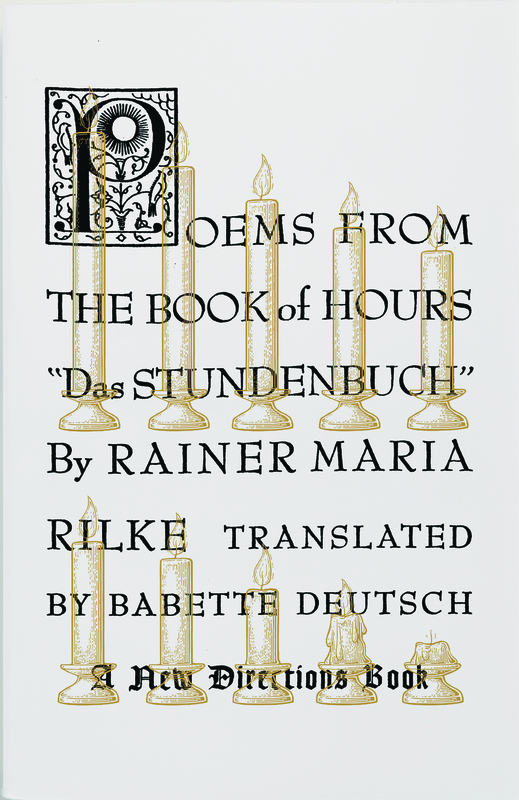 Although The Book of Hours is the work of Rilke’s youth, it contains the germ of his mature convictions. Written as spontaneously received prayers, these poems celebrate a God who is not the Creator of the Universe but rather humanity itself and, above all, that most intensely conscious part of humanity, the artist. Babette Deutsch’s classic translations—born from “the pure desire to sing what the poet sang” (Ursula K. Le Guin)—capture the rich harmony and suggestive imagery of the originals, transporting the reader to new heights of inspiration and musicality.